On March 1st SEA hosted a talk with Sonia Furstenau where she gives a history of the resistance to the project and the community alliance created in opposition to the toxic soil dump. 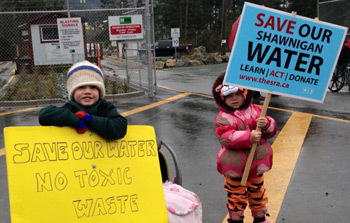 We resolve to end the South Island Aggregates Toxic Waste Dump situated in the headwaters of Shawnigan Lake. Join this Working group to support blockaders financially, legally and in solidarity holding the line. Sign up here to get on the discussion email list to help plan and coordinate this campaign. 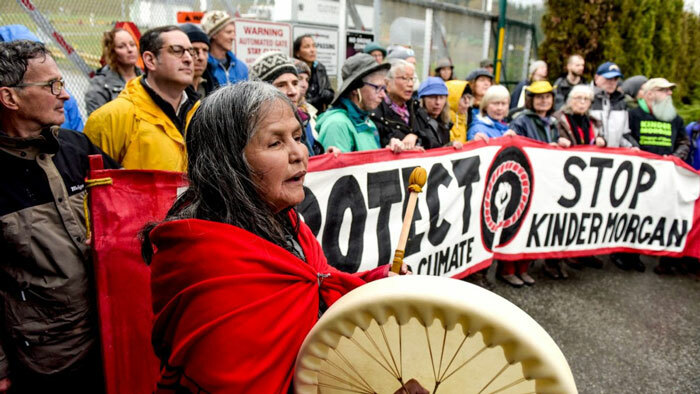 The Salish Sea Protectors' Fund ( SSPF ) is a legal defense fund established in the summer of 2018 by the Victoria-based Rise and Resist and Social Environmental Alliance ( SEA ) in response to the rolling mass arrests against the TransMountain tar sands pipeline/tanker expansion. The purpose of the fund is to provide financial assistance to local frontline activists who have been arrested in peaceful civil disobedience and direct action either directly asserting or upholding Indigenous Title and rights in defending a liveable climate, clean water, wild salmon and the endangered southern resident Killer whales from the risks of tar sands and fossil fuel expansion, industrial open-net fish farms and other industrial threats to the cultures, communities and biodiversity of the Salish Sea. As resources are available, the fund will help cover personal costs associated with being arrested such as paying fines, lost income, legal fees, child care and travel costs etc. We are using a registration form to ensure better security for all of us instead of publishing secret passwords publicly.